The Russian Navy's frigate Admiral Grigorovich sails in the Bosphorus on its way to the Mediterranean Sea, in Istanbul, Turkey, Nov. 4, 2016. 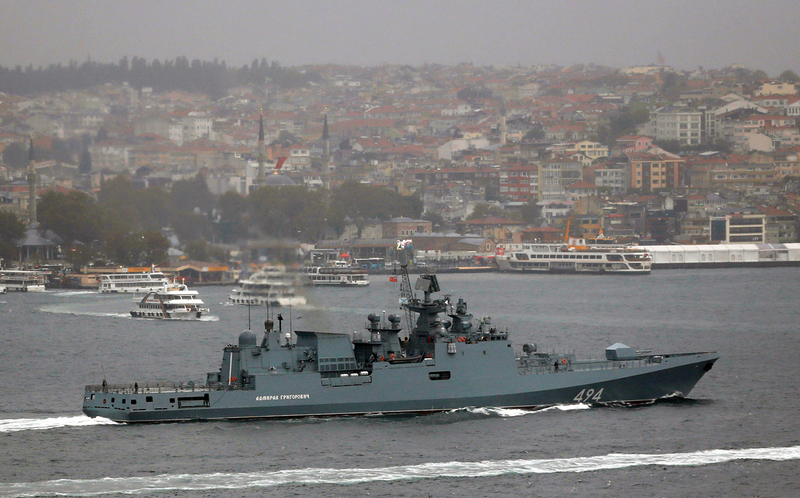 The Russian Black Sea Fleet’s frigate The Admiral Grigorovich has returned to its base Sevastopol from the Mediterranean, the fleet’s spokesman Vyacheslav Trukhachyov has told the media. "The Black Sea Fleet’s newest frigate, The Admiral Grigorivich, returned to Sevastopol today after completing its mission in the Mediterranean. For six weeks the ship was part of Russia’s permanent naval task force in the Mediterranean," Trukhachev said. He recalled that the just-ended mission was the ship’s second long voyage this year. Earlier, in September-October the Admiral Grigorovich performed a variety of tasks in the Mediterranean and participated in events of the 15th public forum Russia Week on the Ionian Islands.